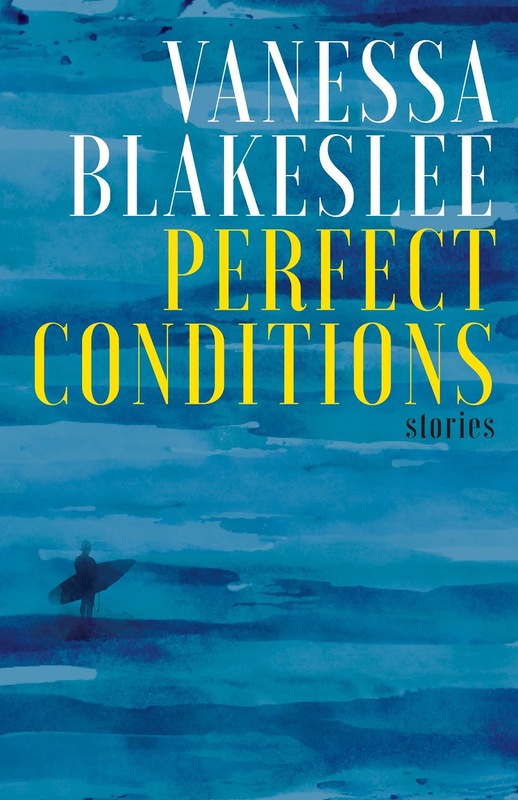 Vanessa Blakeslee is the author of the new story collection Perfect Conditions. She also has written the novel Juventud and the story collection Train Shots, and her work has appeared in a variety of publications, including The Southern Review and Green Mountains Review. Q: Over how long a period did you write the stories collected in Perfect Conditions, and do you see common threads running through the collection? A: The stories in Perfect Conditions were written over a period of roughly 10 years. Some of the stories I had started while I was still living in Costa Rica. 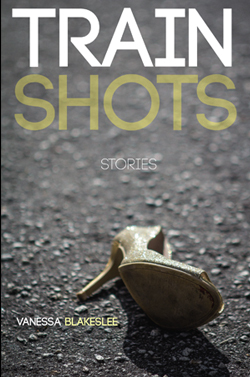 A few of these didn’t aesthetically fit into my first collection, Train Shots, or were still in the process of getting revised and published. A couple of them are very new: “Traps” was written just last summer, and “The Perfect Pantry” was completed this February. Stories can often take years to evolve, which is certainly the case for the title story, and I’m so pleased with the depths that story has finally achieved. 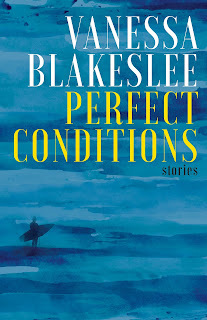 A: When I wrote the story “Perfect Conditions”—the phrase is taken from the surfing culture, the protagonist of that story now living out his “dream” of dropping out of the rat race and retiring as an expat—I just loved how the phrase imbued a sense of trouble underneath the surface. 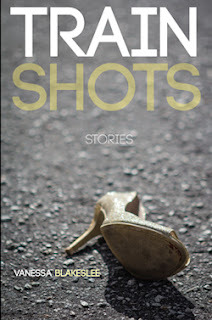 I had always envisioned building a story collection around that title one day. But that story didn’t fit with the others in Train Shots, as I said, so I had to be patient! In the story, of course, Jack is finding that his dream isn’t turning out to be so perfect, and the unresolved family matters of his first marriage and relationship with his son have hardly been “fixed” by his escaping to Costa Rica. More broadly, the phrase as a book title signals the trouble we find ourselves in at this point in human history: not only the dissatisfaction of Industrial Civilization’s “rat race” and our futile attempts to escape, the exploitation of other nations’ natural resources for the gain of those in the West, as in the story “Sustainable Practices,” but even extends to our cultural myths and religious beliefs. This includes the concept that if a Savior shows up at all in these apocalyptic times, as in “Jesus Surfs,” such a figure may very well not behave or act to “save” us, at least not in the ways many have come to expect. Q: We've discussed the importance of setting in your writing in previous interviews. This collection takes place in a variety of locations. Can you discuss any of the settings that were especially meaningful to you? How to write about those places and capture the feeling of that time while also allowing the story to take shape as fiction, not autobiography? I decided to make the story about surfers—I don’t surf at all, and my chances of taking up surfing in this lifetime are about the same as my odds of becoming an opera singer. The research into the subject was especially fun. Other settings in the book, such as Alaska and Tahiti, I have never been, but would love to visit. My fiction is usually a blend of the two—inspired by the places I know, and those I don’t but at least can visit via imagination. Q: Are there any short stories you've read lately that you would particularly recommend? A: Sisters of the Revolution, the 2015 anthology edited by Ann and Jeff VanderMeer, really spoke to me—namely because my short fiction is taking a more speculative and dystopian bent. The selections are timely and superb; I can’t recommend it highly enough. A: I’m working on a new novel called Winterland which is more speculative in nature, about a couple fleeing a post-superstorm destroyed Florida who journey north and attempt to join a collective farm in Nova Scotia. 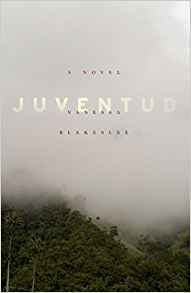 So far I’m really enjoying the process, and just hope this second novel doesn’t take as long as my first one, Juventud, did (five years). But writing a book takes as long as it takes. A: I’ve been going on a lot of day trips around Florida this past year, exploring the corners of my state that I’ve been too occupied to uncover these past 20 years—the springs, the Everglades; I even took an airboat ride, finally. What I’ve learned about the peninsula’s prehistory, history, ecology, has been astounding. Not to mention the kitschy roadside attractions that you can still find here and there! So be on the lookout as I sense some great writing is brewing, both in fiction and essay form, inspired by these day trips. You can follow me on my Facebook Author page and at www.vanessablakeslee.com. --Interview with Deborah Kalb. 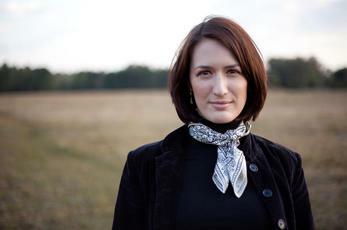 Here's a previous Q&A with Vanessa Blakeslee.